Powell Wellness Center is one of only three Medical Fitness Association certified facilities in Virginia and was recognized nationally as the l top certified medical fitness center of the year in 2018. A volunteer Medical Advisory Board guides staff in the development and delivery of medically-integrated fitness programs that help children and adults improve their physical and emotional well-being through health education, regular exercise and increased physical activity. 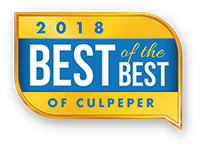 Culpeper Sport & Fitness offers indoor tennis and pickleball, high intensity interval training (HIIT), group exercise classes, sports performance training, personal training and access to cardio and strength equipment. Youth programs include tae kwon do, tennis, tumbling, and boot camp, as well as sports performance training for high school athletes.